It now counts Siemens and Thales among its biggest clients, and has expanded to markets in Singapore, Morocco and possibly soon, Mexico. 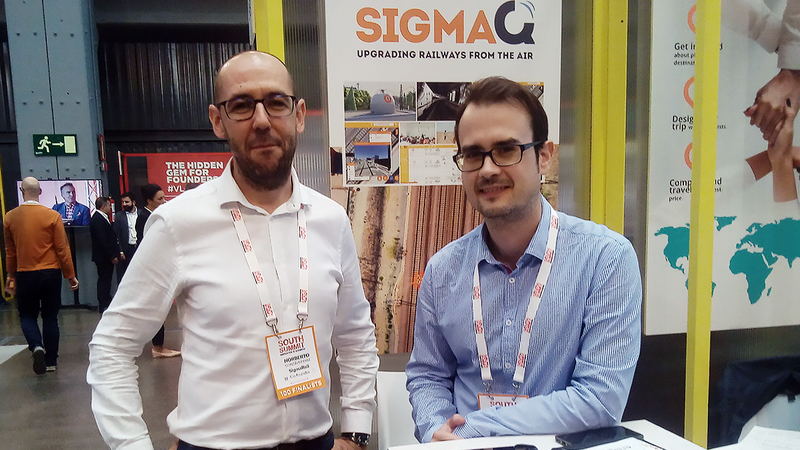 Founded in 2016, SigmaRail is a Madrid-based startup running advanced railway engineering services, namely digitizing railway infrastructure using drones and LiDAR technology. It creates digital models that can be used to provide the geographical locations of railway resources worldwide. An algorithm processes the real-life data captured to produce digital maps of train tracks. The company also uses a computer vision and image recognition software that was created in collaboration with the UC3M Intelligent Systems Laboratory at the Carlos III University in Madrid. The data is analyzed and made available to engineering companies for various uses, such as facilitating automatic railroad inspections, geolocating potential incidents on rail corridors, reducing costs and increasing train safety. The co-founders are passionate about innovation, state-of-the-art technology and engineering in the railway and unmanned aerial vehicles (UAV) sectors. CompassList interviewed co-founder Mario Fernández Marín at the 2018 edition of the South Summit in Madrid, where he shared about the company's key technologies, services and milestones; business model; and financing and expansion plans. Fernández, a telecommunications engineer and graduate from the Polytechnic University of Madrid, is also SigmaRail's product manager.